← LinkedIn like an aquarium. *Visiting Rome had been on our wish list for some time and as we slowly ticked off the list places we’d visited together (Paris, Barcelona, Munich…) it was time for us to go to Rome and what better moment to go there than for Saint Valentine’s day… two very good reasons to be particularly happy! For our first trip to Rome*, and benefiting from a four-day weekend, we decided to make the most of the time available. With the first and last days of the visit being partially blocked by travel we decided to plan two very important visits for the days we could, or needed to spend all day visiting then list all the secondary sites we wanted to see. * Actually it was our first trip to Italy as well, certainly my wife’s first. As for me I had been on a day trip to Sardinia during a school cruise some 40 years earlier, but as Sardinia’s an island and it was so long ago there’s prescription so that visit doesn’t really count anymore. So, rather than leaving things to the last-minute and see how things go, which invariably leads to missed chances and regrets, we sat down and drew up a list of what we each personally wanted to see. In view of our personal tastes it was only logical that the resulting list was largely compiled of “Antique” sites, rather than the religious ones (History vs. Religion), with one notable exception: the Vatican Museum, which as it transpired would be the first major site we visited, the other being the Coliseum and the Forum. 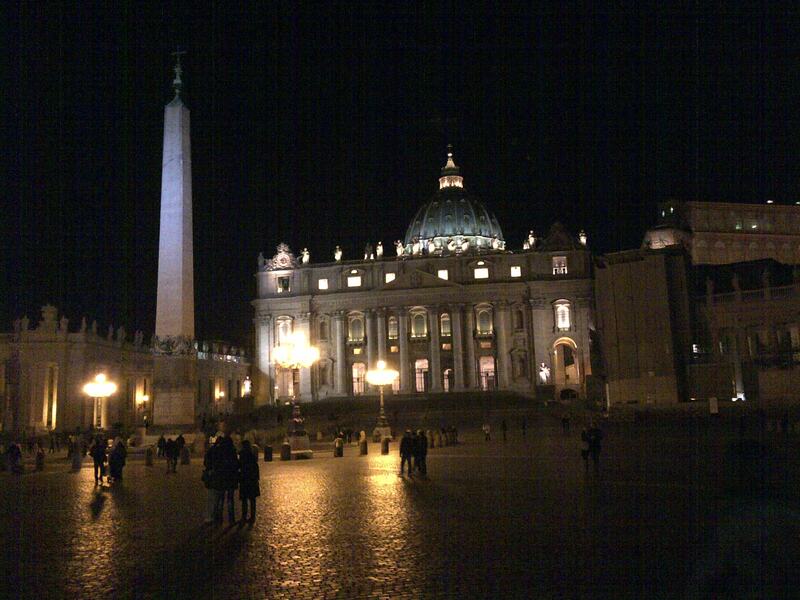 OK so the Vatican is the home of the Catholic Church, and neither my wife nor I are Catholics, but the Vatican is the Vatican, an absolute must to visit to see and, religious or not, the Vatican remains a compelling symbol, especially when you see it by night, and I just love symbols. NB. Having heard about the queues and the tourist scams at the Vatican, and drawing on our trip to Barcelona**, we decided it was best to book in advance, online and be sure, rather than pass up on an absolute must of a visit. A wise move! It certainly would have been a shame to go all that way and not see the Sistine Chapel, in spite of the masses. ** We had wanted to go to the Sagrada Familia cathedral in Barcelona but with very little time and no idea we took one look at the queue snaking round the block and gave up going into the building. One of the habits I’ve got into when planning a trip, like millions of other travelers, is procuring a specific kind of guide-book for the trip, nothing too ostentatious nor upper market, preferably something that corresponds with my [current] travel style: middle range* and slightly offbeat; Not quite the Backpacker’s “Offbeat” but something offering a certain perspective of the place I’m visiting, originality rather than economic. This time I opted for the “Rough Guide to Rome”. I found it interesting, helpful and useful, giving tips on how to spend a day and get the most out of the day, a great inspiration for us. *Having now on several occasions experienced the constraints of low-cost travel my wife and I have decided to do it differently. If you know where to look it is totally feasible to find a good bargain holiday in a comfortable 3 or 4 star hotel and flying with regular companies, without a) ruining yourself and b) having to resort to low-cost flight companies and low-grade hotels. This isn’t snobbism its simple pragmatism. Another source of inspiration is the “Travel channel”. My wife and I had the chance to catch Anthony Bourdan’s show “The Layover” about Rome before going there. If you don’t know the concept Bourdan spends 24 to 48 hours in the city and shows you what to do in that time and mainly where to go to eat, what and how. It’s a certain style of travel and probably, coming from a “grass-roots New Yorker”, too brash for some but we did heed some his tips on eating and shopping*. * So what is the difference between a tourist, a sightseer and a visitor? Well for what it’s worth I’ll give you my interpretation, as I see it, of where the difference is. 3- Then there’s the visitor. This is someone who’s possibly been there before and simply likes the place. It can also be someone who goes to a place with the intention of getting to know the place, someone who wants to see something of the real city, the real people, the inhabitants and not just shopkeepers. Someone who goes down back streets in search of small shops, cafes or trattorie away from the overcrowded and invariably overpriced tourist traps, or go somewhere where they can sit down and enjoy the moment. Question. How do you tell a tourist from a local? Look at the shoes! ** One of the pieces of advice we had heeded was to get to the really important sites and excursions very early, before the masses arrive. Do that and you’ll have all the space you need to move around in, take that special photo and enjoy the site. *** A close call with some young Eastern European pickpockets one evening in Paris really brought that fact home to my wife and myself! For having been there now it’s obvious that Rome, more so than other major cities I’ve visited, is clearly tourist orientated, so much so you wonder if 1) this doesn’t obscure everything else and 2) if the inhabitants don’t get fed up, tired and irritated by all the tourists, whatever the [possible] economic benefits they may bring. You have to ask the question especially after seeing an elderly Roman matron energetically elbowing your wife in the ribs at a pedestrian crossing! Without wanting to rewrite the guide books it’s true that Rome seems to attract three very distinct types of tourism: “Antique”, “Religious” and “Renaissance” but what else is there to do? There’s actually quite a bit. There’s the theatre, the “other” museums and the galleries, (ethnic or modern) and then there’s the local cooking. 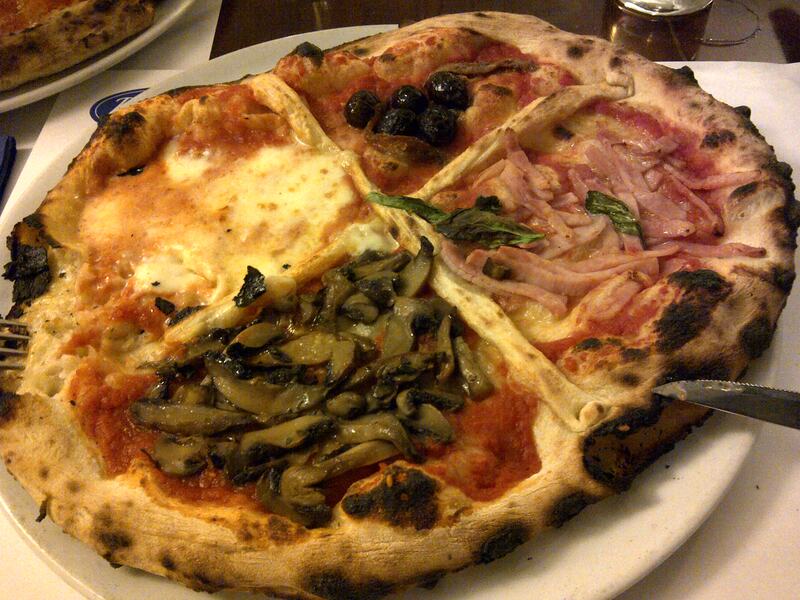 Rome is famous for its Pizza’s and Pasta and there are simply thousands of restaurants to choose from so if there’s a reason to go back to Rome it’s to go and visit some of the places the tourists don’t go to, or very rarely, and try some of the food the tourists don’t eat. Do I have a thing against tourists? Not really, it’s just that their being there tends to de-naturalize the environment they’re in. NB. I haven’t mentioned shopping and for a reason. I’m not really a shopping fan and don’t normally make a beeline for the shopping precincts when I go somewhere but it was interesting to learn that Rome’s public transportation system, ATAC, lays on free shuttle buses at given times of the day covering certain shopping zones to help shoppers get from A to B, quickly and safely. As for us this we calculated that we spent roughly 6 to 7 hours a day walking round Rome, when we weren’t riding the Metro or on a bus and when we did go window shopping we made a point of punctuating window shopping with a coffee. Here again I’m not sure we chose the best cafes and we’ll have to go back again to try some others. Conclusion. There enough to do for everyone, in fact that there’s so much to see and do in Rome you’ll need to go back and visit again. It’s a bustling town and like Italy, you like it or you don’t but it doesn’t leave you indifferent. *Rome is also one of those rare places you should visit as a couple, with a special one. The perception is different and just that little bit more special. Footnote. As ever getting there and coming back is an integral part of any trip and I tend to include the travel part in my tales because it’s an adventure in itself and something that needs managing correctly so it can be enjoyed. 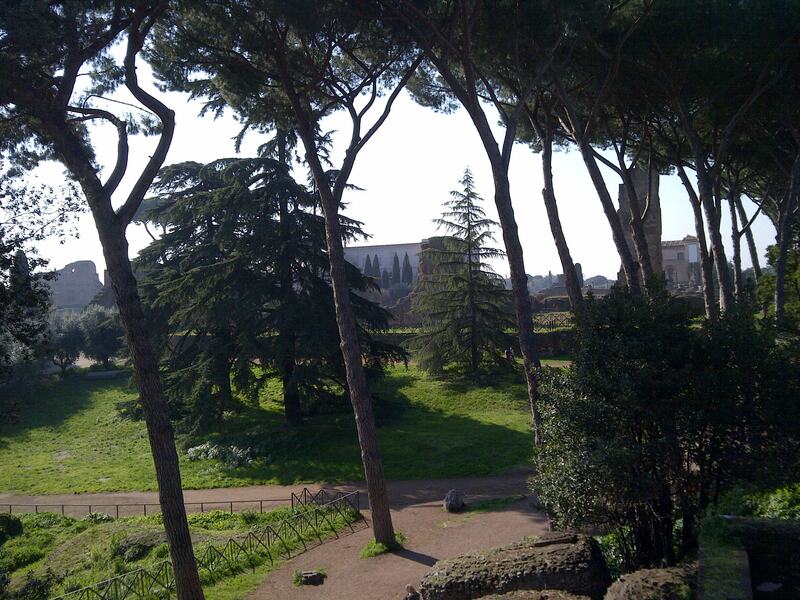 Arriving at any airport (Shanghai, Bishkek, Paris…) is always an adventure and Rome was no exception. What made it fun was side stepping the pirate taxi drivers and touts and managing to get my wife and myself from the Arrival terminal to Rome’s Termini train station, via the Leonardo Express, in about 45 minutes and with very little stress! This entry was posted in Voyages and tagged Coliseum, Rome, Sistine, Termini, Trevi Fountain, Vatican. Bookmark the permalink.